If you’ve been to Mexico, odds are you’ve had lime water with chia seeds (agua de limon con chia). It is a staple of meals in Mexico and a deliciously refreshing way to accompany a meal! The recipe is easy. All you have to do is combine water and freshly squeezed lime juice with a bit of agave nectar to sweeten. Then add a tablespoon of chia seeds. Refrigerate for at least an hour and you have a refreshing and healthy beverage with a unique twist! If in a rush, wait 10 minutes for the chia seeds to absorb water, add ice cubes, and serve. 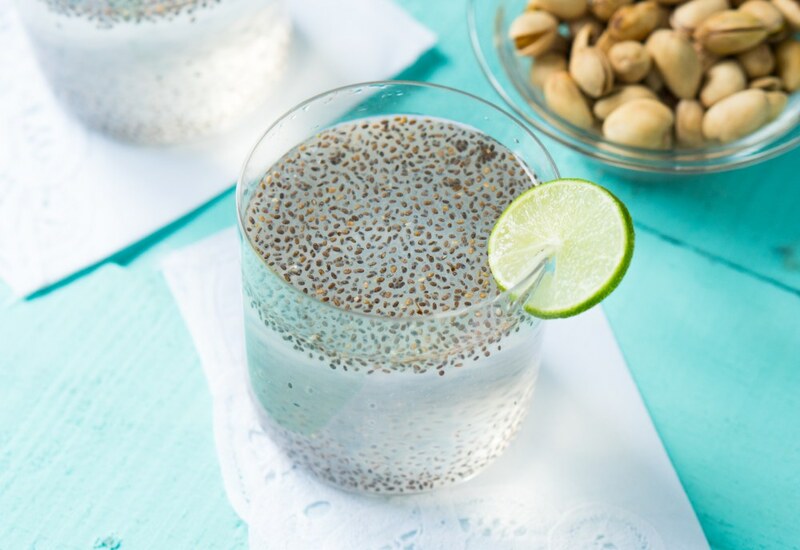 Chia seeds are nutrient powerhouses, so they are a sneaky way to add essential fatty acids to your water! Per Serving: 41 calories; 1g fat; 9.9g carbohydrates; 1g protein; 0mg cholesterol; 11mg sodium. Love the flavor, but the texture . . . let's just say I'm certain some of my friends from Mexico would have had a good laugh watching me drink this. Going to stick to my limeade, I think! This drink was very, very interesting. I had some chia seeds on hand from my stint with trying out healthy alternative recipes- that didn't last very long for me. Gave this drink a shot and I was pleasantly surprised. Texture would take some getting used to, but overall a decent drink. I used coconut water - LOVE. will make this again. kind of like a healthy tapioca!